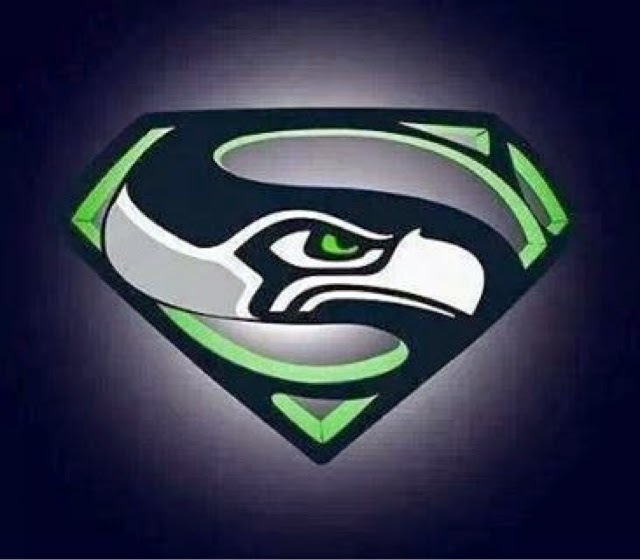 Super Bowl Weekend Is Not Complete Without Superman! So we're not saying Henry is for the Seahawks... but you know, that logo sure looks nice in those Seattle colors! 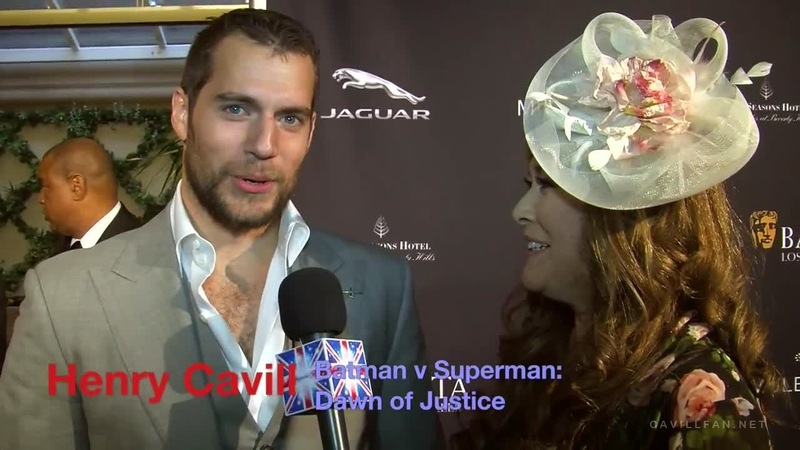 -- A fan of the Patriots though, was quick to point out the obvious..
@HenryCavillNews Um, he's red and blue. Go Pats. No matter what Super Bowl team Superman is rooting for (and we know Batman is for New England), we hope he enjoys the game! 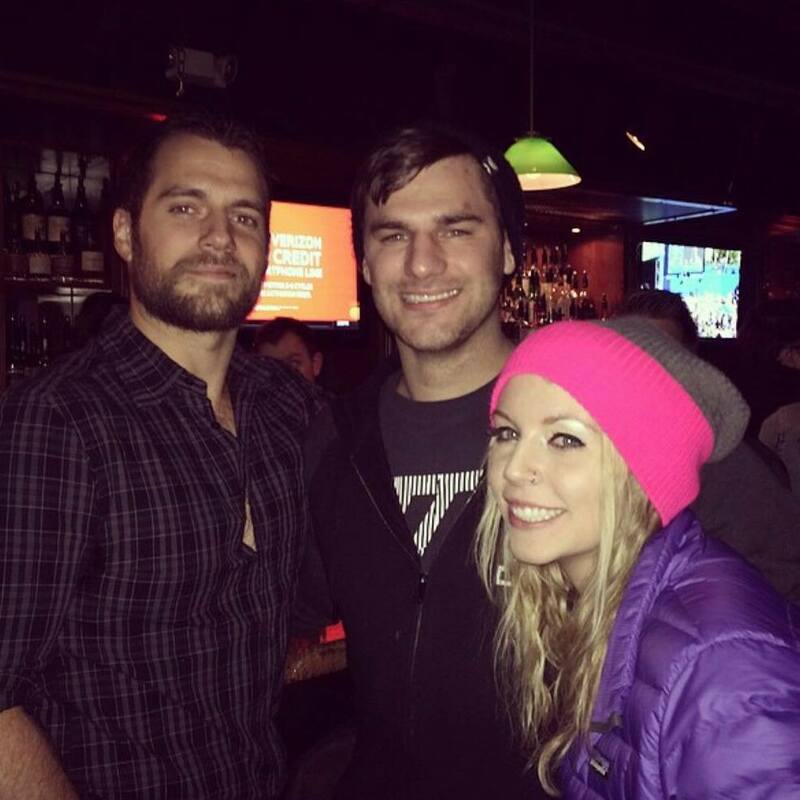 As you know Henry has been in Utah since the end of last year, and Friday night he reportedly ran into a fan who confused him with Batman. 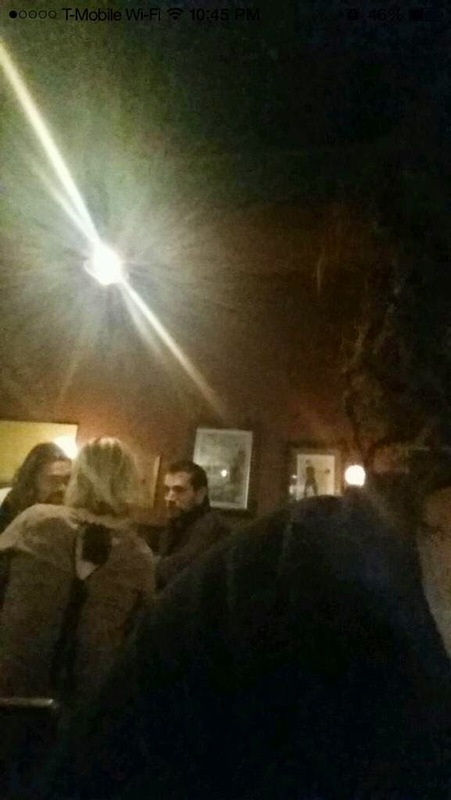 Friends went out last night, met Henry Cavill at a bar. 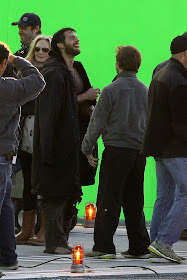 Reviewing pictures the next day, Friend 1 says, "Look at us with Batman!" Friend 2: "Dude, he was Superman." Friend 1: "Really? Oh man, no wonder he kept giggling every time I called him 'Batman.'" Then we thought it was really nice of Supes not to correct the fan, because you know if it had been the other way around.. 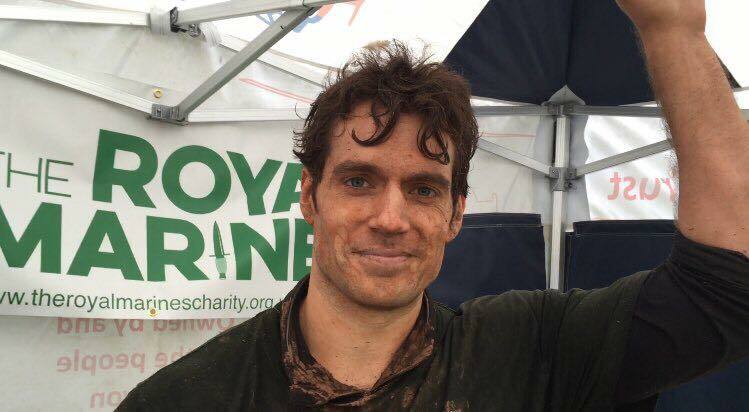 It's been so nice to see Henry's fans coming together to help him reach his 'Rock Run' goal, to benefit The Royal Marines Charitable Trust Fund. And thanks to an awesome group of friends from Gibraltar, he's in the home stretch! "A joint contribution from Gibraltar to help you realise your target. Inspired to inspire. Thank you -- Donation by franny & friends." Franny, you're awesome. This week the charity also released a new video of the 350th anniversary celebrations that took place last year. 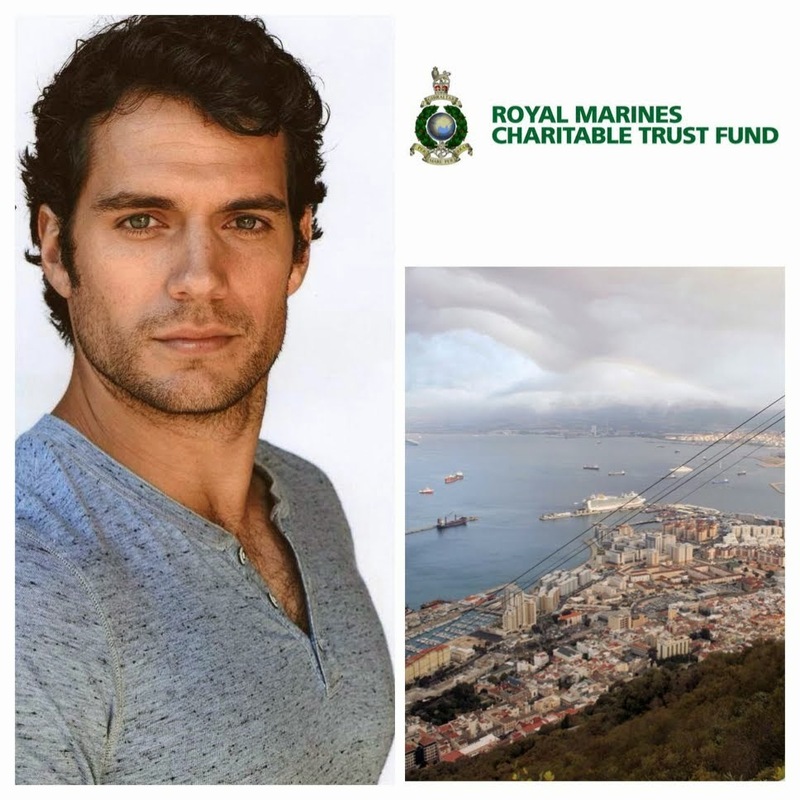 It includes new footage of Henry at the different Gibraltar events he participated in last October, as well as a quick clip with his brother, Nik, who is a Royal Marine. Don't miss it! (starts at about 22:16). 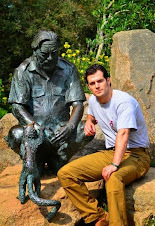 Henry proudly displayed his support for the Royal Marines and the charity, during his time in LA a few weeks ago. 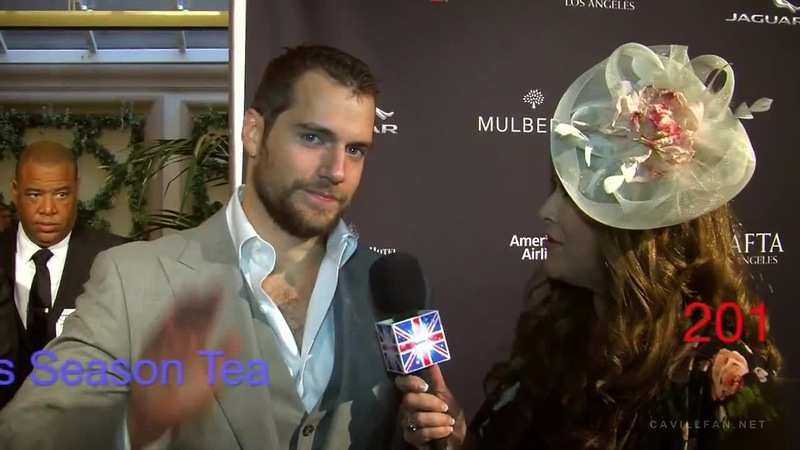 From the moment he arrived..
To his appearance at the BAFTA Tea Party (RM 350 anniversary pin), Henry was a true ambassador for the RMCTF. You can purchase the hoodie and other cool items at the Royal Marines Shop. 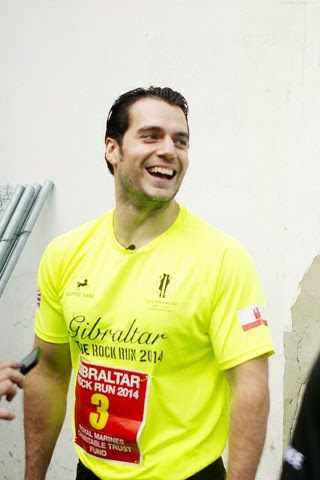 If you haven't had a chance to watch it, here's our interview with Henry in Gibraltar, where he thanks you for your support. Let's get Henry to that goal! UPDATE (2/5): According to a Canadian film rating site (via), the first trailer for The Man from U.N.C.L.E. is 2 minutes and 23 seconds long. Get ready to swooooon people, Solo is gonna bring it! - Do keep in mind, that trailer times and content may vary slightly from country to country. Either way, we can't wait! 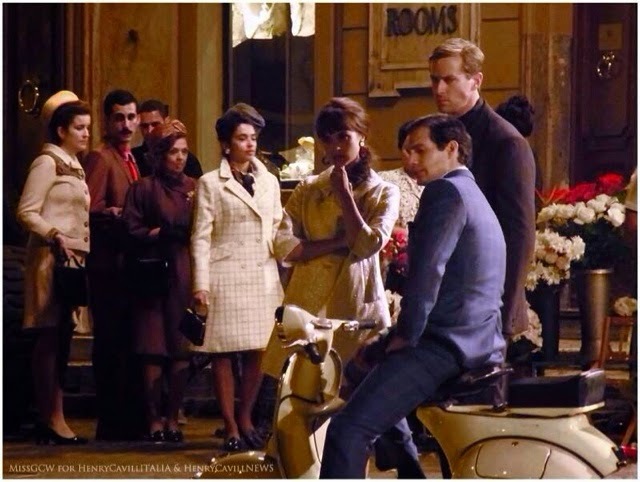 We're closing in on the dates when the trailer for The Man from U.N.C.L.E. is expected to hit theaters. And while it's not a sure thing, we have a good feeling about it. The Projection List expects the U.N.C.L.E. trailer to be attached to the release of Jupiter Ascending a week from today, and/or Kingsman: The Secret Service the following weekend. And like @HMSSweblog pointed out to us, that also means the trailer could be released online any day now. Needless to say, the waiting is killing us! Good thing for us, there is some news on the film to keep us busy. With Mission: Impossible 5 also set for release in 2015, the multiplexes will not be short of spy capers (there's also Kingsman: The Secret Service, which only doesn't make the cut this time because we included it in our 2014 preview, and we're only allowed to pick 25 movies!). 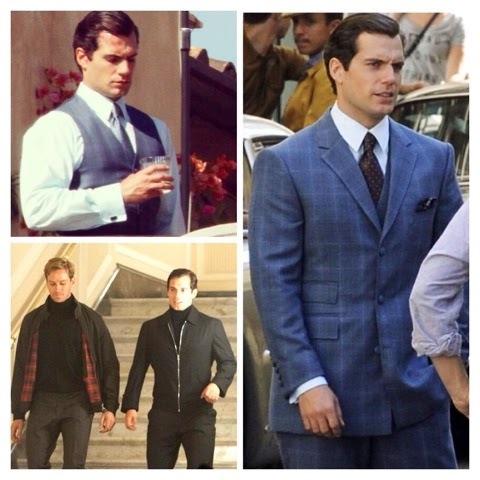 We're intrigued by The Man From U.N.C.L.E., though. 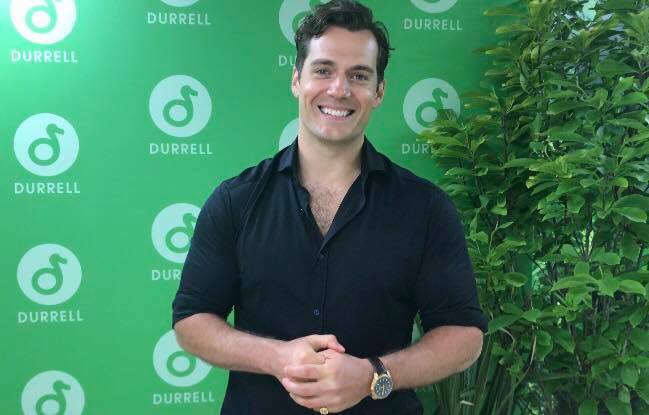 Not only does it have more full stops than its competitors, it also gives us a chance to see Henry Cavill flexing his acting muscles without a superhero suit on. 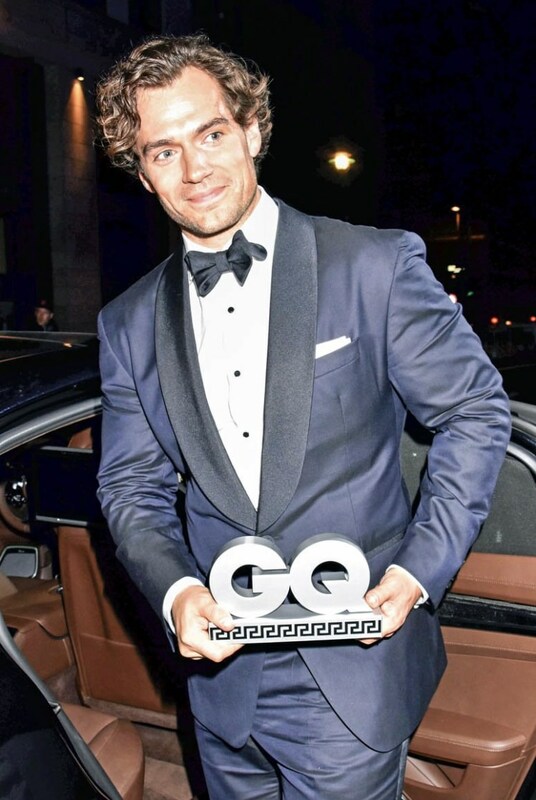 Cavill stars alongside Hugh Grant, Armie Hammer and Jared Harris, and Guy Ritchie has co-penned the script and is directing. Ritchie's career has had some very pronounced ups and downs over the past decade, but if he can bring 60s suave and the best bits of his Sherlock Holmes movies to the screen here, then he may be onto a winner. 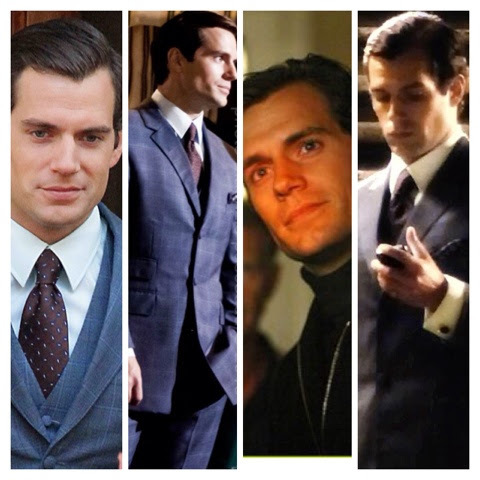 Expect The Man From U.N.C.L.E. to have closer links to the source TV show than 2014's The Equalizer did too, incidentally. And less DIY. Let’s trust that Guy Ritchie injects the film version of the 1960s spy series with lots of his “Cockney-mockney” style. The original show, in fact, wavered from semi-serious to all-out spoof over its four seasons of becoming a pop culture trendsetter. In the redo still set in the 1960s, super agents Napoleon Solo (Man of Steel’s Henry Cavill) and Illya Kuryakin (The Lone Ranger’s Armie Hammer) are up to their usual droll shenanigans. 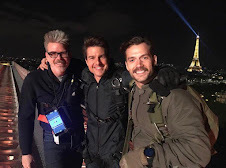 That means the duo confronts a secret bad guy organization trying to dominate the world even as the team receives help from handler Mr. Waverley as defined by the stammering Hugh Grant. Given how badly some beloved TV shows have fared on the big screen, devotees are hoping the movie isn’t just a big mess. We can't wait for the U.N.C.L.E. trailer to hit, because we know it will leave people wanting more of Solo!.. just ask one of the extras who got to work with him. 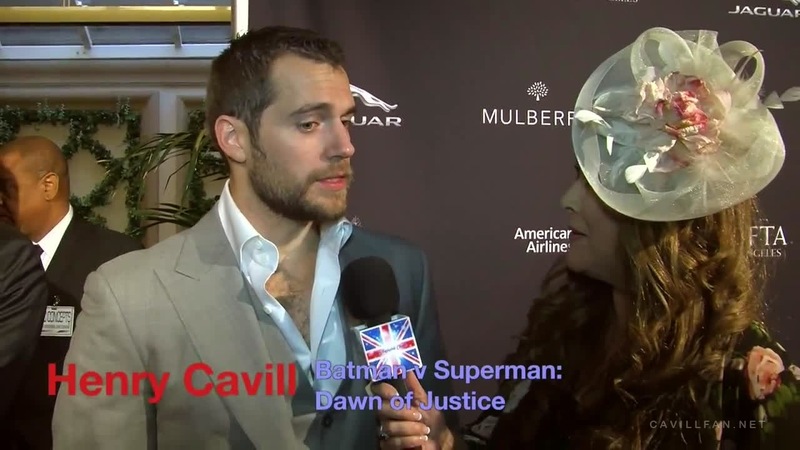 Of course Henry is not the only one making a splash in the film. Alicia Vikander revealed a little secret about her U.N.C.L.E. role, while talking to Empire magazine (click to read). Trailer, trailer, trailer!.. we're SOOOO ready for you. Go Solo! 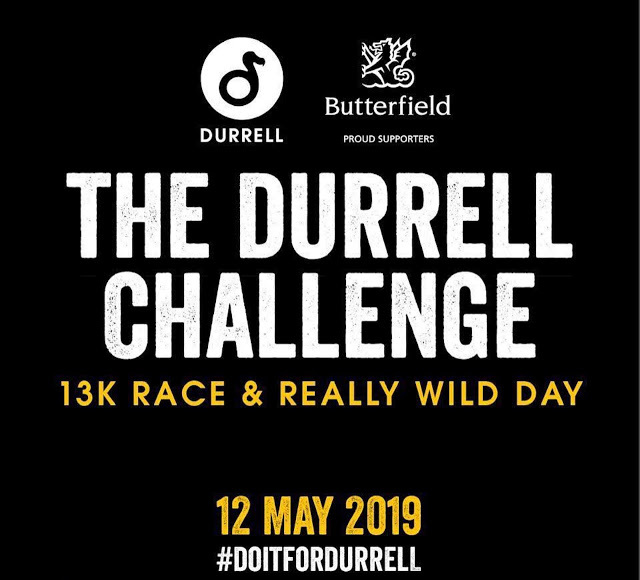 Just as we were starting to feel those winter blues coming on again, we get this exciting news! 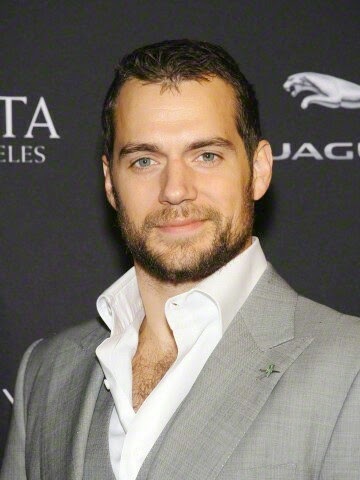 - According to The Media Eye, which tracks special events in London, Henry will be attending the inaugural BAFTA Film Gala Dinner next Thursday. A BAFTA Film Gala dinner will be held for the first time this year, with the aim of raising funds for ‘Give Something Back’, the BAFTA campaign supporting young people from all backgrounds to enter the moving image industries, connecting them with some of the best film, television and game makers to help inspire and guide their careers. Guests will enjoy a dinner followed by silent and live auctions with an array of dazzling film- and television-related prizes. 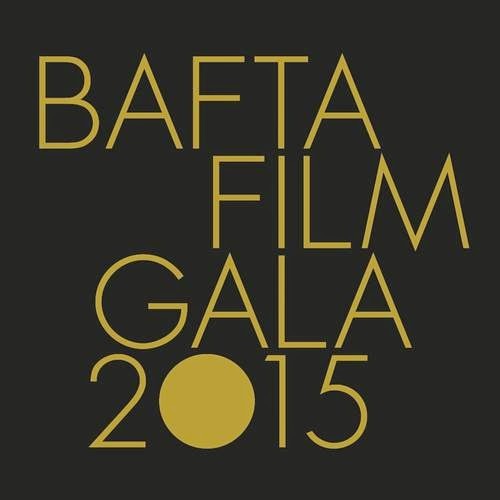 The auction will be followed with entertainment from The London Cabaret Club and a party at BAFTA 195 Piccadilly. 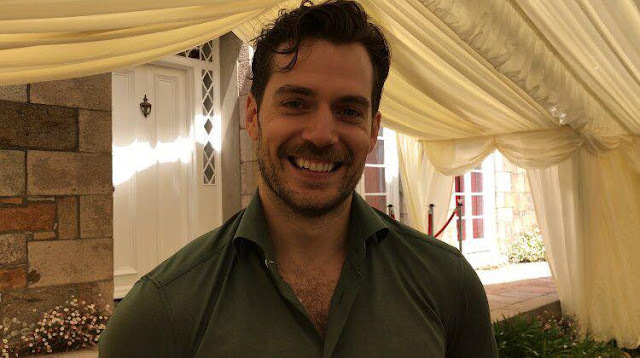 Henry attended the BAFTA Tea Party in LA just a few weeks ago (and gave the best interview), so we're not surprised to hear he's reportedly flying home to be part of the festivities ahead of the BAFTA ceremony on Sunday, February 8th. He was a presenter in 2013, and there were plenty of pics from the various events he attended. Organizers say the list of presenters for this year's ceremony won't be released until next week. Stay tuned! Were we right about the cabin in the woods, or were we right about the cabin in the woods?.. Hi Henry! 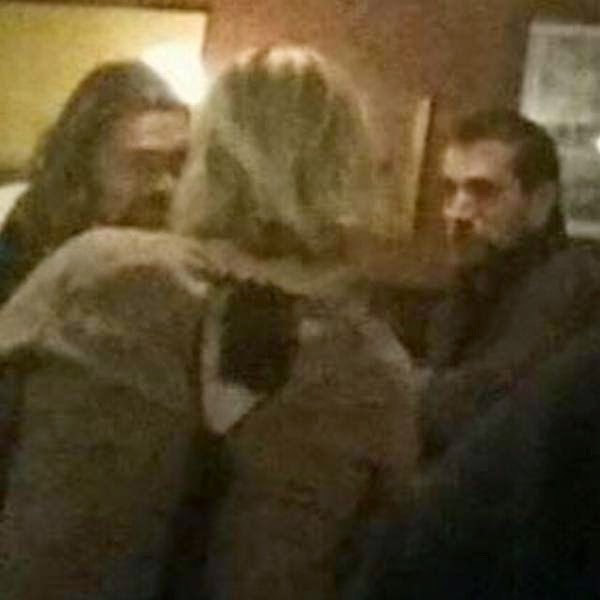 If Superman wanted to stay under the radar, last night was not the best time to show up at a bar. 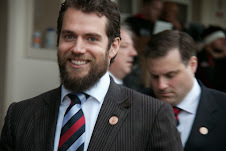 Our twitter feed was filled with nothing but excited fans watching Henry as Theseus in Immortals on FX. Kinda like with the look he has now. Only now he's much bigger.. and has been sporting a badass beard. 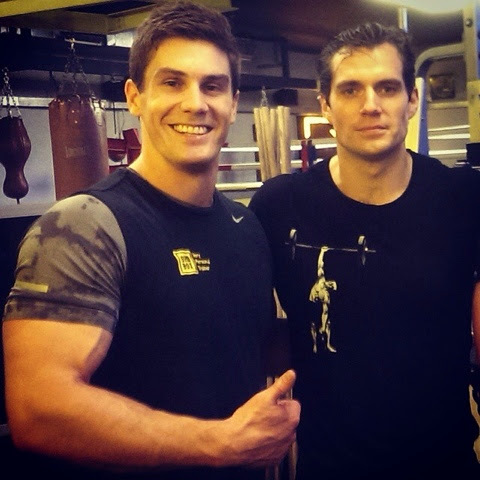 Henry has been busy preparing for Stratton, that's set to start filming in a few months. 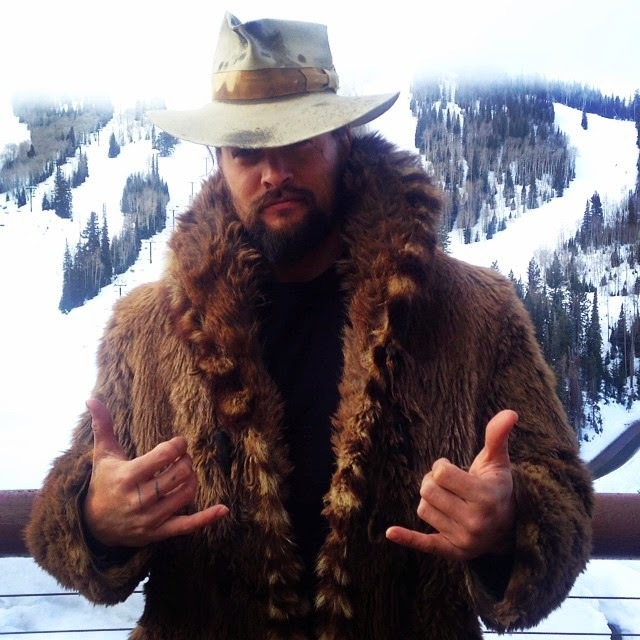 We have to say he really knows how to rock the mountain-man look. What winter blues? - hope he's enjoying the chilly weather, because winter sure looks great on him. 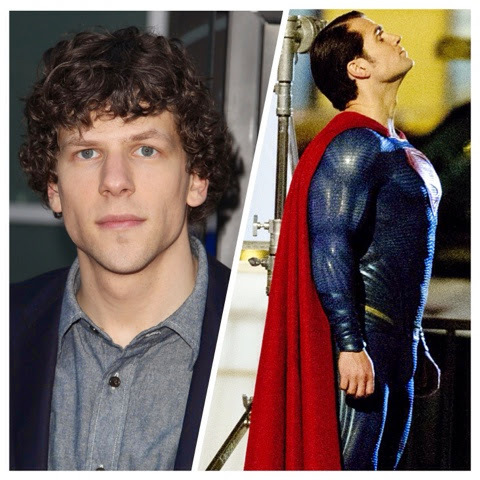 Surprise, surprise, in a new interview with Variety, Jesse Eisenberg admits he wasn't a fan of Superman growing up. Perfect Lex! 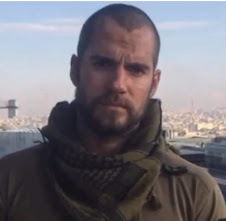 You just wrapped playing Lex Luthor in “Batman v Superman.” Is your head still shaved? I can’t say anything about this stuff. They want all this to be a surprise. 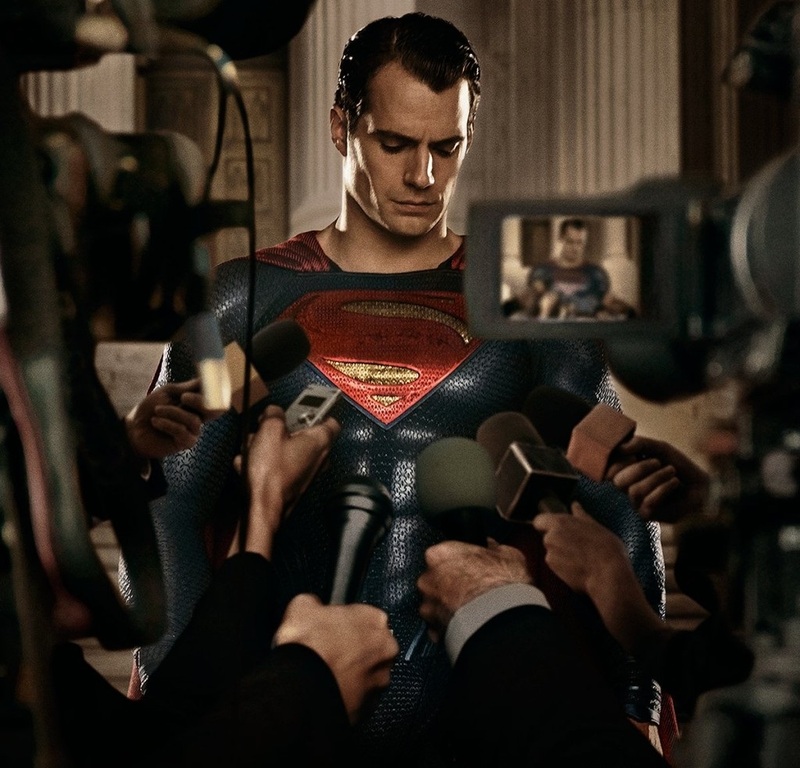 Do you think you’ll play Lex again in a “Superman” sequel? I would love to. 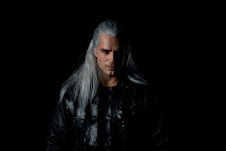 It’s a great group and director, and the most ideal character to play. 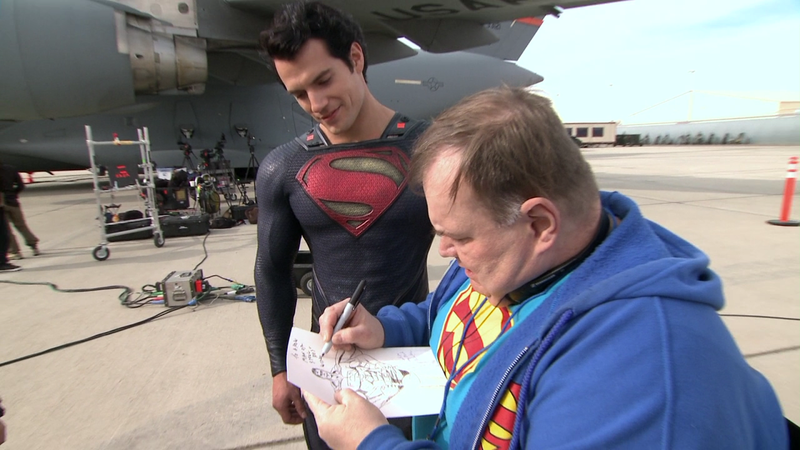 Were you a fan of “Superman” growing up? Did you watch the movies at all? Oh, just to understand the context of this one. But no, not as a child. 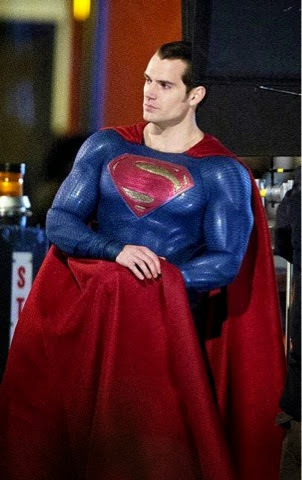 Can't wait to see him go up against Supes on the big screen! 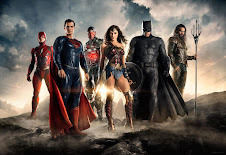 We're not gonna lie, we really don't think we're ever going to see the DC TV & cinematic worlds join forces, but after this announcement we really wish it would happen! 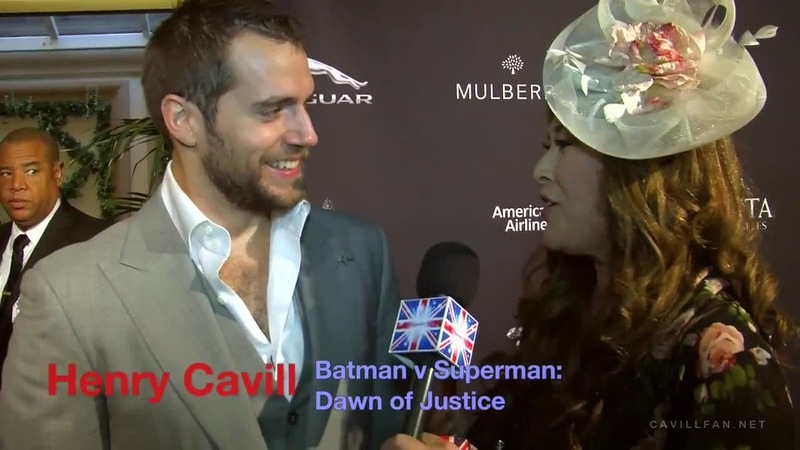 Superman has a cousin, and we kind of have a girl crush on her. Melissa Benoist played Marley in Glee, and like THR pointed out, there's even an episode where we get a glimpse of her as her superhero self. 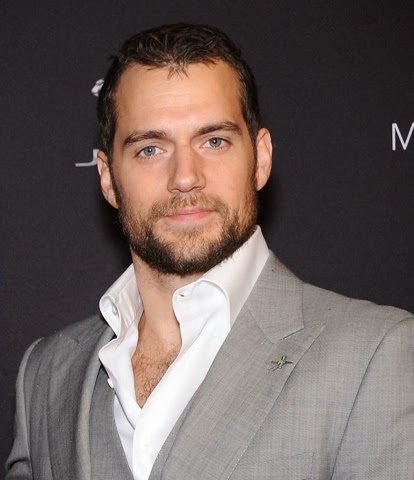 And just like Details magazine, we'd love to hear Henry's thoughts on his new cuz..
Read the rest at USA Today, and don't miss our exclusives of Scoot, Henry, and other cast members on set in Detroit. As we've mentioned before, we see The Flash being buddies with Superman. 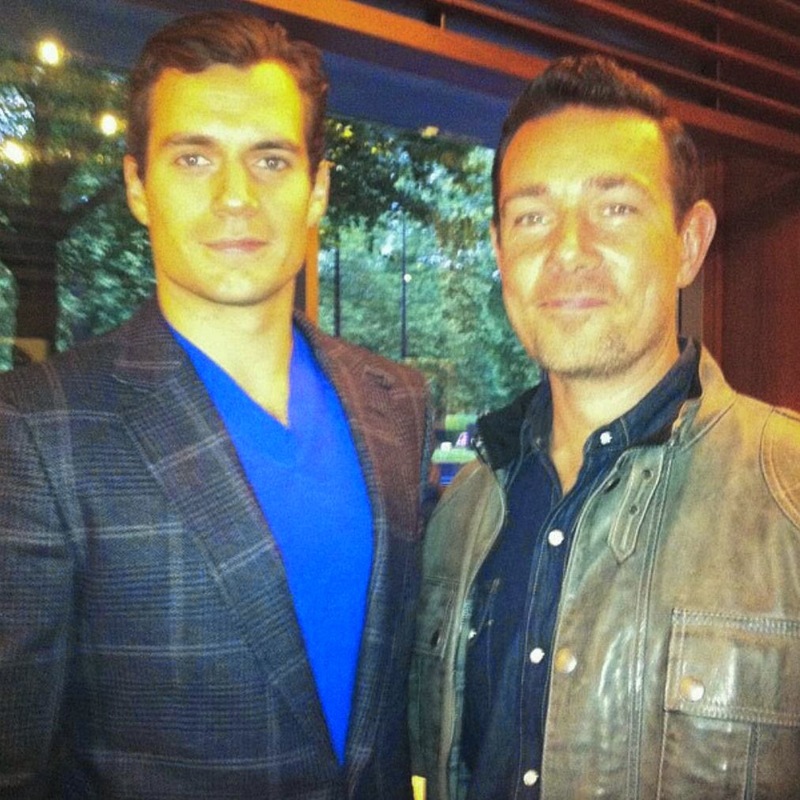 It will be fun to see Ezra and Henry together in Justice League. 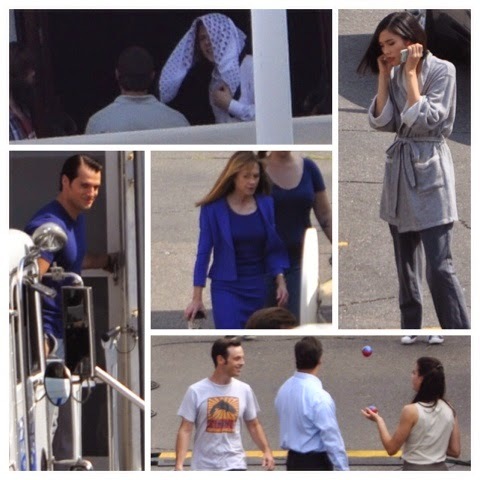 And while we still have more than a year to go until Batman v Superman hits theaters, the swag is showing up all over the place! That's one cool logo. Now let's get some trailer action going. Latest as we get it! 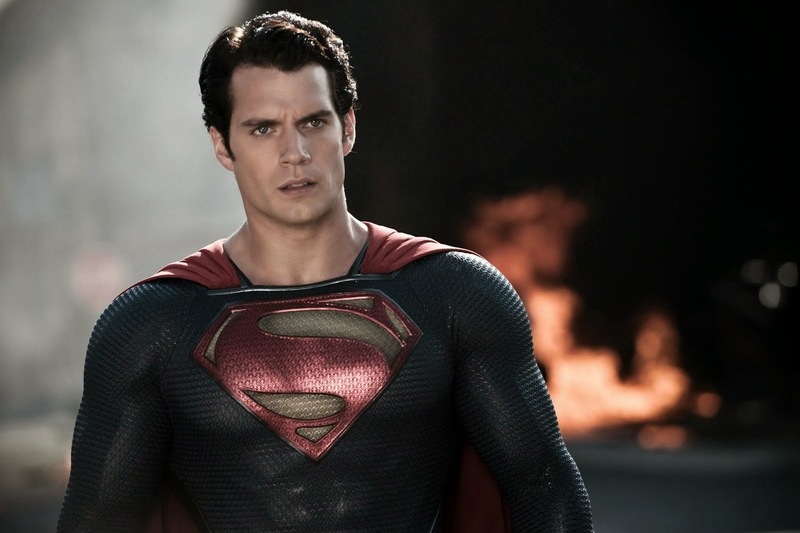 National Hug Day: No One Does It Better Than Superman! 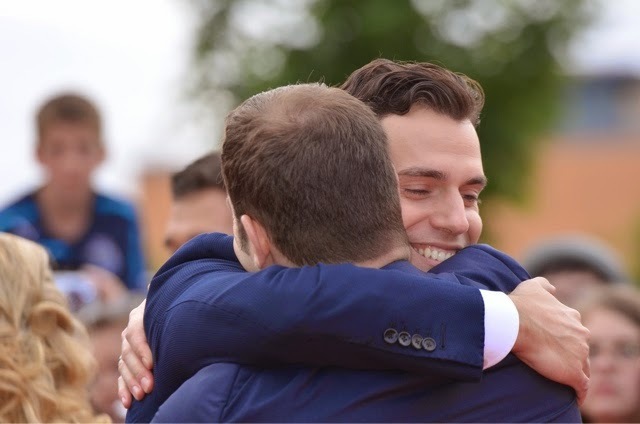 Henry embraces his brother Simon, at the Man of Steel premiere in Jersey. We were so excited about Henry's just released interview with B2B Gibraltar, that we almost missed celebrating National Hug Day! -- Thankfully ecsullivan83 stepped in to tell us about it. 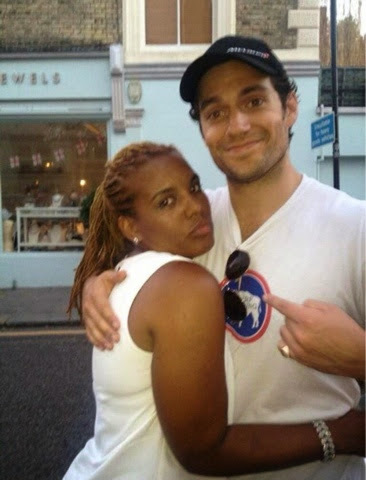 Henry is definitely a great hugger, as we've seen in plenty of pics on and off the set. 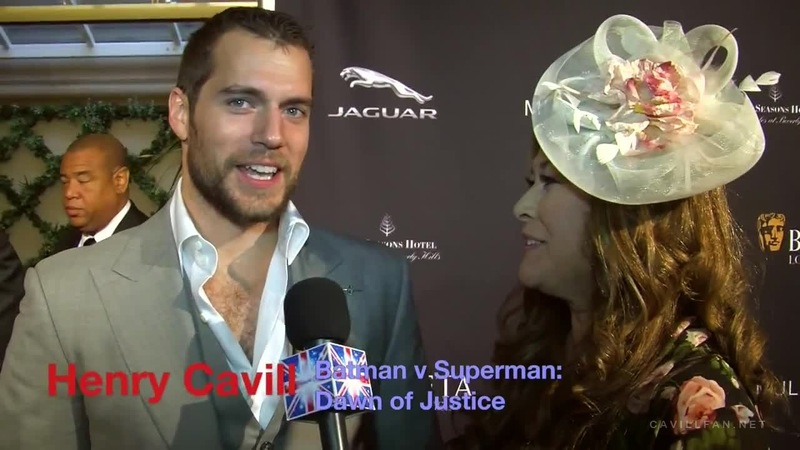 Yeah, yeah, Lois.. we know he's your man..
Now THIS is how you end an interview.. that Alicia Malone. Smart woman. Elmo caught in the middle of a love sandwich with Superman. Sweetest hug! 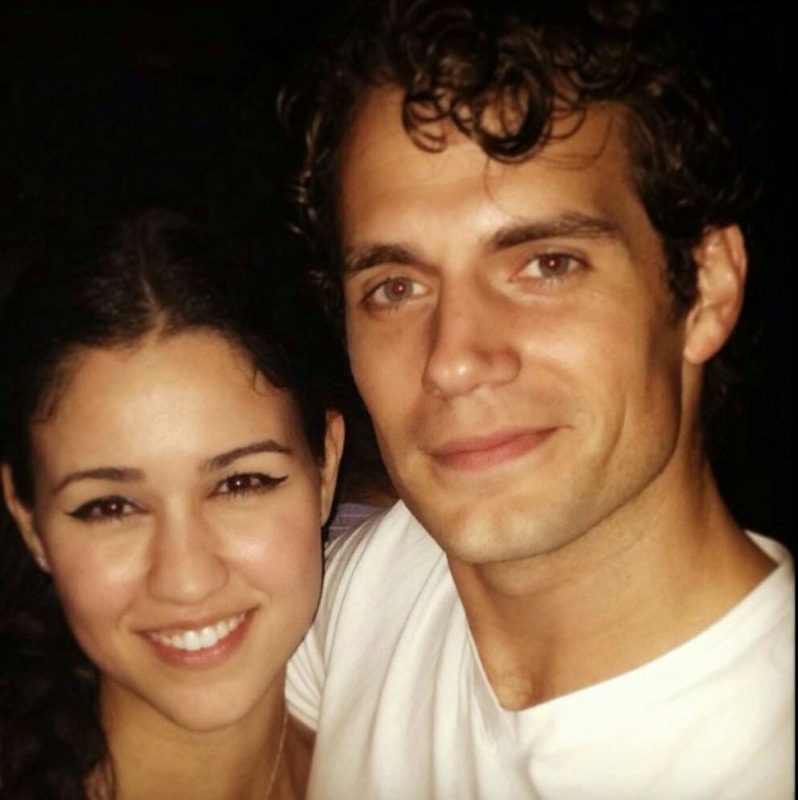 Just as recently as a few weeks ago when he was in LA, Henry was delivering the BEST. HUGS. EVER. (Check it out at 1:19). And don't forget that's the same thing Helga just told us, after she met him a few years ago. 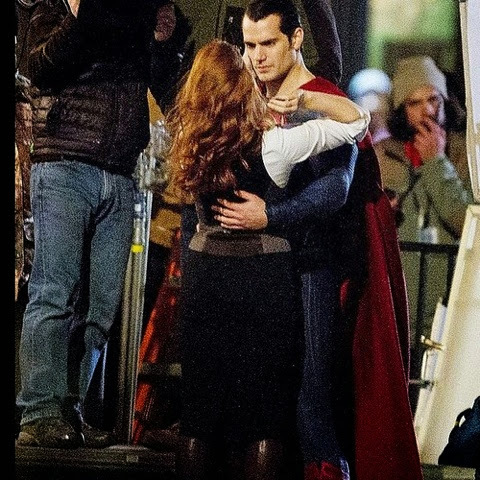 Hey, Superman is a hugger, nothing wrong with that! -- and it actually improves his health in the process. 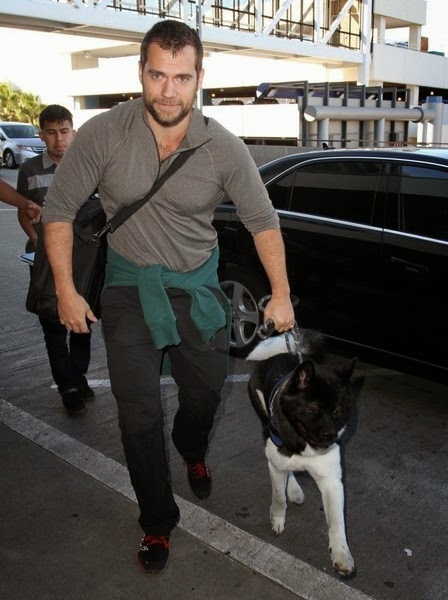 We hope he's giving lots of big hugs to his furry baby today. Lucky, lucky, Kal. Henry Talks Rock Run, Family, The Man From U.N.C.L.E., More! 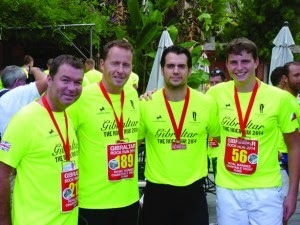 In a just published interview by B2B Gibraltar, Henry has tons to share about his participation in last October's Rock Run, and his preparation for it compared to Batman v Superman.. He also talks having his family's support, lovingly mentioning his Mom..
His end goal in Hollywood..
Phew! a lot of good stuff in there, plus these great new pics. READ THE ENTIRE INTERVIEW NOW. 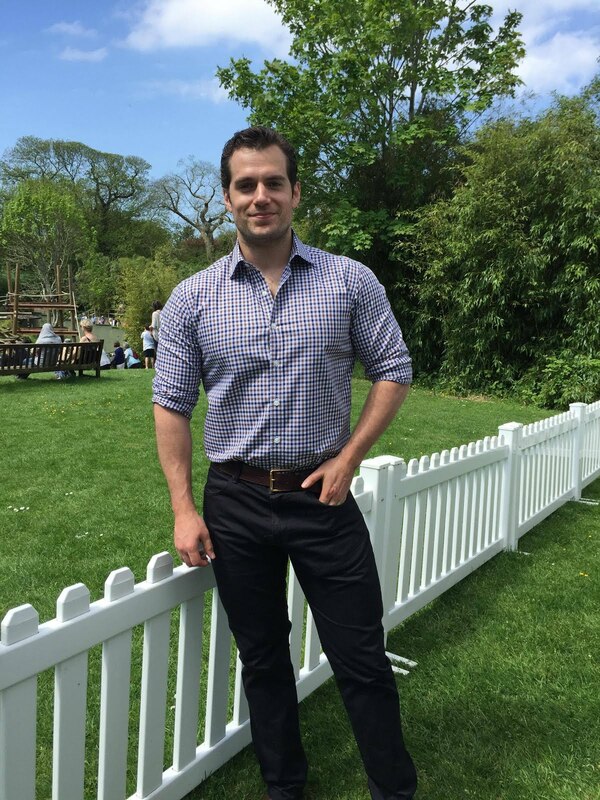 And don't forget to keep cheering Henry on by helping him reach his RMCTF goal, he's almost there! 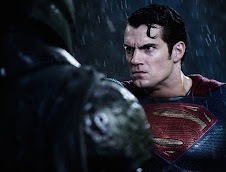 Thanks for the heads up on the interview, Mary G.
Now Batman it’s going to fight the way I’ve always dreamed seeing him fight… he’s a character so prepared in martial arts that you can do a lot of things with him, but filmmakers usually don’t go all the way with it. 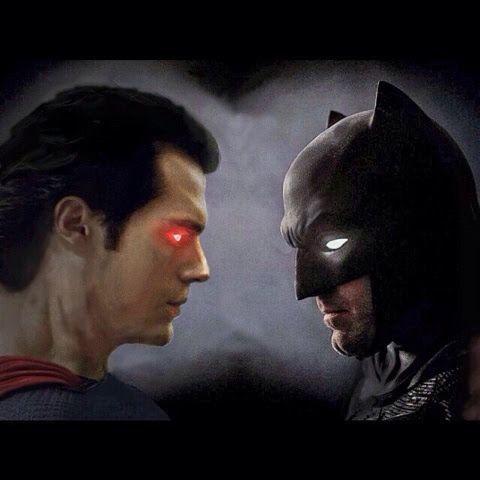 Hmm, okay, so guess it's safe to assume it's not gonna go down like Jon Stewart envisioned..
Take your best shot Batman, we have no doubt Supes can take it!